It has taken me many years to find the perfect recipe for hummus. I have tried recipe after recipe, attempt after attempt to get it right, and each time it just wasn’t quite right. In the end, I have found that the most authentic recipe was the best—after all, hummus is a Middle Eastern dish; a Middle Eastern recipe should get it right. The recipe that follows is an authentic Lebanese recipe, and it is perfect. Real hummus has very few ingredients, but those few ingredients, in the right quantities, are absolutely crucial. 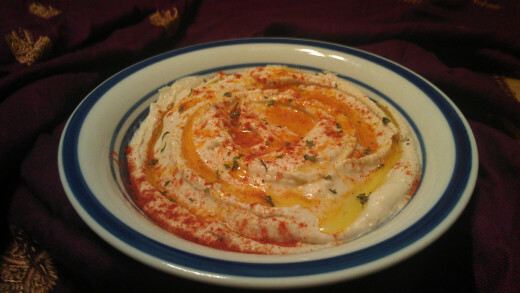 · Adding unnecessary ingredients: I have found many hummus recipes that include extraneous ingredients, such as yogurt. While yogurt is nice, and often used in Middle Eastern cuisine, it has absolutely no place in hummus. If you find a hummus recipe that calls for yogurt, please keep moving. · Leaving out crucial ingredients: certain ingredients, like tahini, are crucial to hummus. Tahini is such a crucial ingredient that this dish actually cannot be called hummus without it! Hummus without tahini is just mashed chick peas. · Not using enough of the key ingredients: a recipe for hummus may contain all the right ingredients, but if they are not used in large enough quantities, your hummus will never achieve the right flavor, and will in the end taste like nothing more than mashed chickpeas. · Chickpeas: also known as garbanzo beans, chickpeas are a very common ingredient that can be found in any grocery store. You may cook the dried beans yourself, but canned chickpeas will work just fine for this recipe. · Lemon juice: freshly squeezed is best, and will give your hummus the best, freshest flavor. If you do not have fresh lemons on hand, you may use bottled lemon juice instead and still achieve good results. · Tahini: tahini is made from ground sesame seeds. Think peanut butter, but made from sesame seeds instead of peanuts. This can be found in either the Middle Eastern section or the Natural Foods section of a well-stocked grocery store. You can also find tahini in Middle Eastern or International specialty stores. · Garlic: be sure to use whole garlic cloves rather than jarred minced garlic. The fresh flavor of the cloves is key to good hummus. You should peel the cloves, then put through a garlic press or crush them by hand with a mortar and pestle. After adding your first clove of garlic, taste before adding the next to see whether or not it is necessary. You want just the right balance, so tasting is very important! Too little garlic will result in bland hummus; too much will overpower the dish. · Salt: please do not leave this out. I know many people are sodium-conscious these days, but seasoning is really necessary for good food! 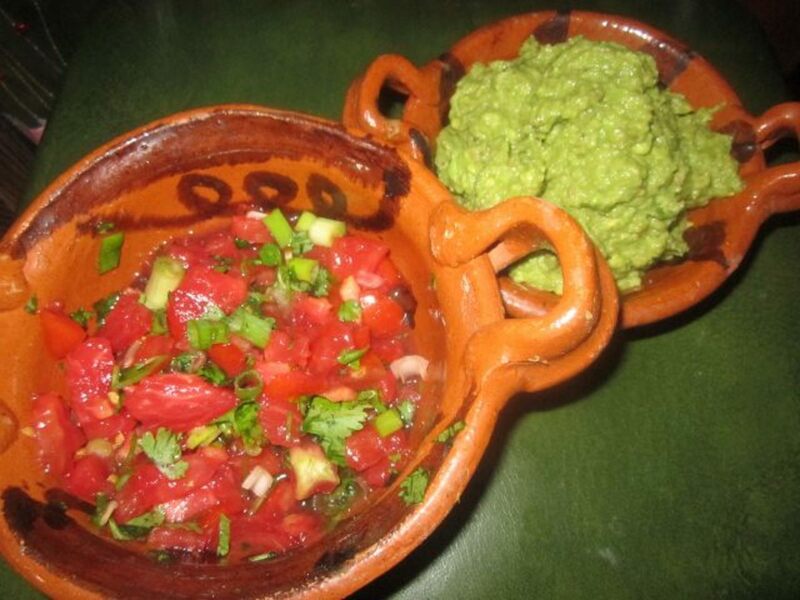 · Olive oil: again, do not leave this out in order to make the dish more low-fat. It is already low in fat. The olive oil adds to both texture and flavor. For best flavor, use high quality extra virgin olive oil. 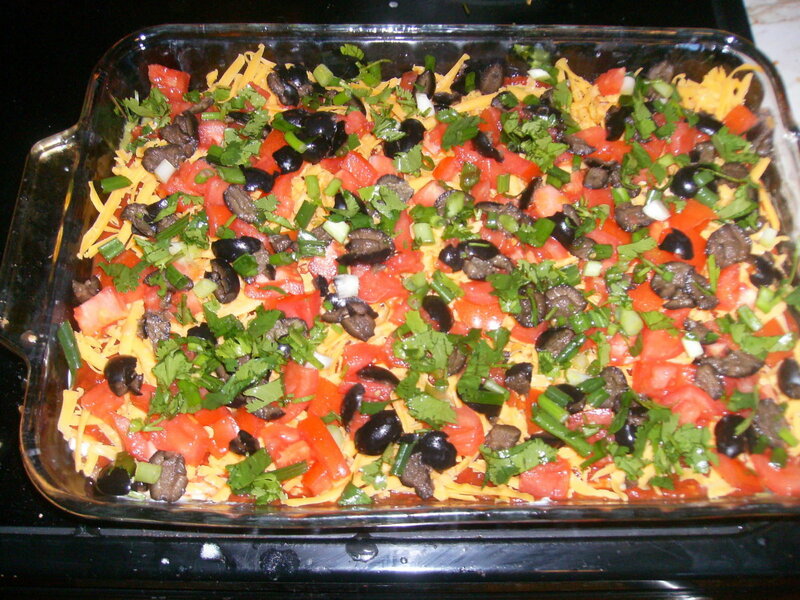 You can easily make variations to this recipe, so long as you do not alter the basic structure. If, for example, you wanted to make roasted red pepper hummus, you would simply blend in some roasted red peppers. 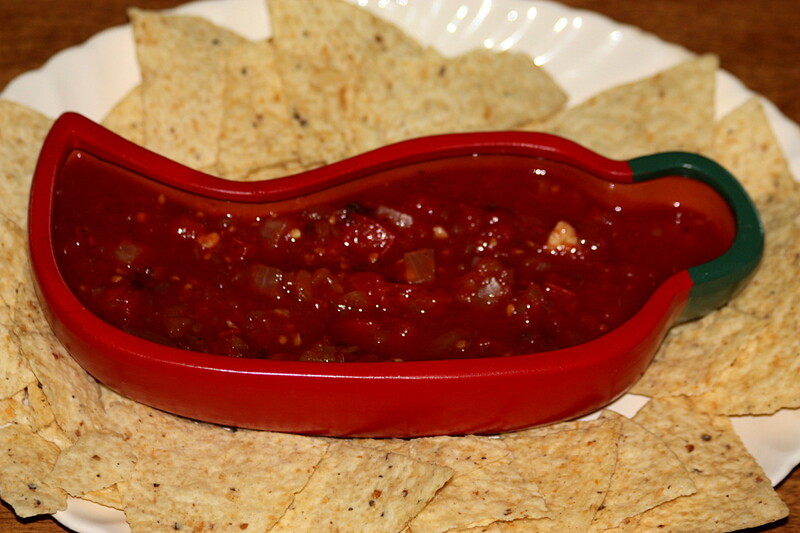 Likewise for spicy hummus, you could add some crushed red pepper, or hot pepper relish to the mix. Be sure, however that these extra flavors are additions to the basic structure, and that you are not substituting any of the necessary ingredients. Substitutions will likely ruin the recipe and your hummus will not turn out right. The one exception to the substitution rule is in the event that you would like to make hummus using a different bean. Technically, hummus is not hummus without chickpeas. However, “Black Bean Hummus” is a pretty popular, and tasty dish, which can be made using the exact same recipe, only substituting black beans for chick peas. Drain the chickpeas, reserving the liquid. Combine all other ingredients in a food processor. Add ¼ cup chickpea liquid and blend for 3 – 5 minutes until thoroughly mixed and smooth, adding more liquid if necessary. Place in a shallow serving bowl. Use a spoon to create a ridge around the sides and a shallow well in the center. Garnish by drizzling the top with additional olive oil and sprinkling with any of the following: fresh parsley, cayenne pepper, smoked paprika (my personal favorite), cumin or a few reserved whole chickpeas. Serve with toasted pita. This is a great hummus recipe. I love hummus and chickpeas. Voted up! Thanks for sharing, this look good. Thank you! I'm glad you liked the recipe! Okay, just made this one up exactly as recommended above. Absolutely 100% delicious. I knew the only place to look this one up was at hubpages. I knew every cook wants to add this and that til it no long tastes like hummus. Thanks to the author, mkjohnston81, for the authentic version. Local Lebanese restaurants here often use the dip for more than just dipping bread, they use it as a side sauce on many meat and vegetable dishes. If readers are lost as to what to put hummus on just put a teaspoon on your evening meal. It goes well with every thing. Readers may develop an addiction to it but hey, it is a "super food" so you can eat it all year long. I rarely vote up, or share - but this one I must - thanks. Thank you! It is very easy to make! Hummus is very popular dish of U.A.E.. But still I haven't try it at home. Your recipe is very simple.I will surely try it. Thank you! There is quite a bit of lemon juice in this recipe, but I find that the hummus tastes kind of flat without it! It's easier than you might think to make it yourself, and soooo worth it! I really want to do this and I have been talking about it forever. Now I can because I really like your healthy recipe. Thanks a million! That sounds delicious! I love red lentils, but had never thought to put them in hummus! This is a very nice recipe and I agree with you there is nothing better than an authentic hummus. I recently heard someone at work state that Tahini was not necessary and I growled out a protest - essential. That said I also make a red lentil hummus which includes tahini and I quite like that alternative from time to time too. Thanks! I am slowly making my way through the Learning Center! I love hummus. Your recipe looks great, and I love that you gave it variety by adding the substitutions section. Awesome! Let me know how she likes the recipe if she tries it.